The Paradise is in Peru. 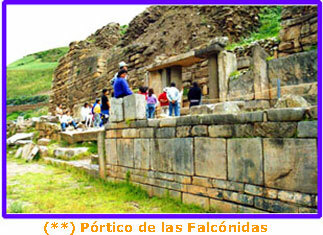 Lagoons, Snow, Landscape, Photos, Pachamanka and the high architectonic technology shown in the Temple of CHAVIN, comparable to ROME and JERUSALEM. Lots of Fun addition. DAY 2 Llanganuco Lagoon tour and Pachamanka Lunch. DAY 3 Chavin de Huantar tour. DAY 4 Pastorury snow mountain. DAY 5 Waullaq-Monterrey. Shopping. Return. DAY 6 ó 7 Arrival to Lima. With Camping (ome more day). 08:00 hrs. Meeting of all travellesr in the agreed place to start the trip to Huaraz, the capital of Ancash department (county). Lunch on the road. 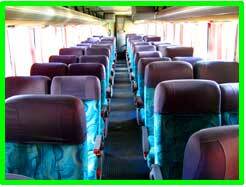 Confortable bus (reclining sits, TV/Video onboard music, heating, host/hostess and chemical bathrooms). 04:00pm hrs. Arrival to Huaraz. Reception and accomodation in the Hotel. Rooms with private bathrooms and hot water. 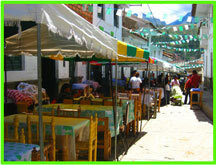 Talk about HUARAZ is to talk about CALLEJON DE HUAYLAS. 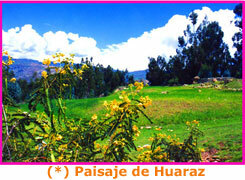 The departament of ANCASH has for capital the city of Huaraz. 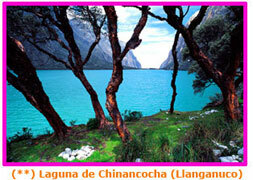 It covers the HUASCARAN NATIONAL PARK, of 340 mil hectares, declared by UNESCO Natural Heritage of the Humanity in 1985. 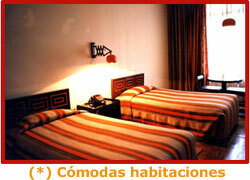 Its main touristic circuit starts on the CALLEJON DE HUAYLAS. 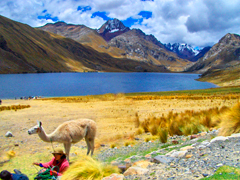 Along the Callejon de Huaylas we'll find exotic towns, and if we could go very inside the Huascaran National Park we would find a great variety of flora and fauna, a lot of blue lagoons besides the popular Chinancocha one in the Llanganuco gully. We would see many snow peaks like the Huascaran (the highest of Peru at 6768 meters of altitude). The Pastorury of 5000 mts. was very popular and attended until the 90's. It was ideal for ski and other snow adventure sports. Recordemos la famosa "Semana del Andinismo" que cada año congregaba a expertos montañistas y deportistas de aventura de todo el mundo para desafiar a nuestra agreste geografía. 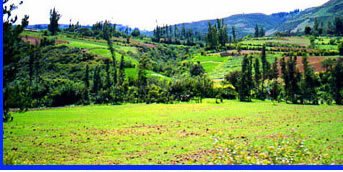 It was recorded 779 species of high andean flora and 112 species of birds. Some of the species are close to the extintion if we don't take care of them like: vicuña, taruca, mountain cat, andean cat, glasses bear, andean condor, torrent duck and the patridge of the high andes. We must mention the province of Huari, where is located the highest and oldest civilization of Peru: CHAVIN DE HUANTAR, studied by great archeologysts like Julio C. Tello and Federico Kaufmann Doig. The geography of the HUascaran National Park offer all the perfect conditions to practice sports of adeventure: Canoying, Parapent, Kajac, Ciclying, etc. For this, on june of every year, it was organized the "Andeanism Week", an international competition aimed to challenge our rough geography, sponsored by the great transnationals. So, the Huascaran National Park is also a privileged place for long wlks and high mountain climbings. 8:00 hrs. Start the tour to the Parque Nacional Huascarán. Typical Breakfast in Carhuaz city (somked ham sandwich). Recommendable coffee with milk. Tour through the Callejon de Huaylas. 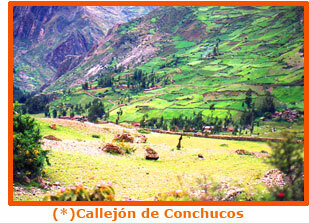 This "CALLEJON" of 180 km long is a valley between 2 "CORDILLERAS" or Mountain Chains, the White and the Black and irrigated by thew Santa river, ideal for canoying. This river goes along with the chaion mountains. On the road, we'll see several towns located in that Callejon: Marcara, Chancos, Carhuaz, Saint Campus of Yungay. We could see the Huascaran snow mountain, the highest of Peru at 6768 meters of altitude. Then, going through a tight road 26 kms. more, we arrive to the Llanganuco gully and its two lagoons: Orconcocha and Chinancocha. The last one is badly known as "Laguna Llanganuco", located at 3863 mts. of altitude. Around we'll see Queñoales (quinua trees). We have the chance to sail on a boat. Transfer to Caraz town. 15:00 hrs. Typical Lunch: “PACHAMANKA”. (3 kinds of meat). 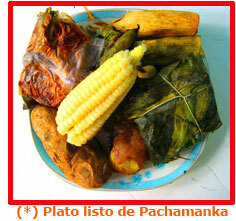 It's a typical dish of the peruvian andes. The food is cooked under the ground with burned stones and special condiments, giving a natural and different flavors to the meats of pork, beef, lamb or chicke. Después, Shopping tour to handicraft center. 20:00 hrs. Invitation to the best disco pub on town. Drink included. It's likely to see a folk show. 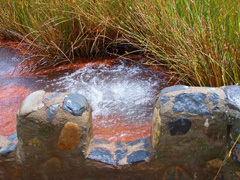 CHAVIN DE HUANTAR is the cradle of the highest peruvian civilization. Age: 3000 años before Christ, of monumental architecture and sculpture on stone. Comparable with Rome and Jerusalem. 8:00 Typical Breakfast. 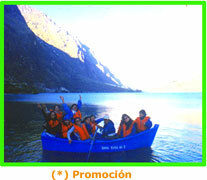 Excursion to Chavin de Huantar. 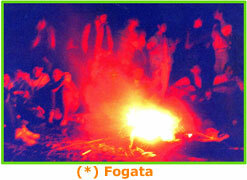 On the road, we'll see the towns of Catac, Ticapampa, Recuay, The Lagoon of Queracocha, where we observe a formaction... NATURAL...? very similar to the map of Peru. We will cross through the Cordillera Blanca by the Cahuish tunnel at 4 mil meters of altitude (480 mts. long) to come out onto the Callejon de Conchucos. 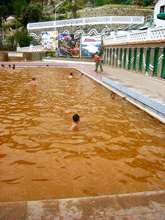 Left side picture: (*) Querococha Lagoon. In Chavin we will aprecite: The Temple, The ceremonial squares, the unique sculpture pieces, The Lanzon, The Portico of Falconidas, Cabezas Clavas IN-SITU, los laberynths, the museum, etc. 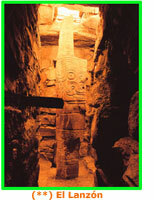 An expert guide will also talk about the mystical-religious sense of the old Chavin people..
15:00 hrs. Typical Lunch. Return to Huaraz city. 20:00 hrs. Dinner. Video recording of the Pijama Party in their respective rooms. 8:00 hrs. Typical Breakfast. Excursión de inolvidable aventura en la nieve. We'll see the Cave of San Patricio of Recuay, Ticapampa, Catac, Patococha lagoon, the gasified fountain of Pumapampa; the Eye of Water Pumashimi of changing colors, the cave pictures on the rocky walls and also we'll see the Puyas of Raymondi which bloom every 100-150 years. 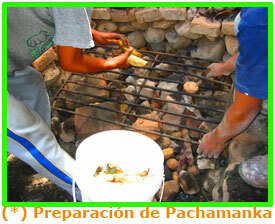 Typical Lunch: Grilled trout and "Levantamuertos Soup"(Yunca). Return to Huaraz. 09:00 hrs. City tour. Tour to the main street of the city like Jose Olaya street, Belen, Temple of the Lonliness, Main square, viewpoint, the trout farm and the Thermo Medicinal Baths of Monterrey. * If the group want to return to Lima, we will deliver the gifts and the continue with the shpping tour. At 21:00 hrs Return trip to LIMA, arriving by 06:30AM of the DAY 6. to the agreed arrival point. * With Camping, the program will be the same until the Day 5. See Day 5 Tab*. 17:00 hrs. Transfer to the Waullaq zone for the camping. 08:00 hrs. Mountain Breakfast. Start the Long walk called "Tres Cruces". 13:00 hrs. Lunch BARBICURE GRILL with folk show and return to Huaraz city. 21:00 hrs. Return trip to Lima. © (*) DORIS DELGADO TRAVEL & REPS. PERU. 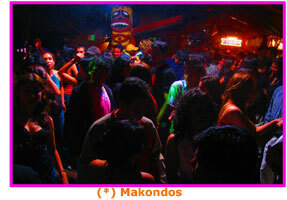 (**) PROMPERU.